There have been explosive cheers in town recently for the Washington Wizards, the Capitals, D.C. United and the Nationals. In one Nats game last week, Bryce Harper hit three home runs; maybe it's a taste of what's to come from his career. Unfortunately, the Capitals lost Game 7 in overtime to the Rangers on Wednesday night. And John Wall's wrist injury is complicating the Wizards' route to the Eastern Conference finals. But overall, it's good news for D.C. sports. "Our hockey team, our basketball team, our soccer team, our baseball team -- all located in the city -- are all doing great," says Ward 2 D.C. Council member Jack Evans, who commented before the Caps' collapse on Sunday. The only real sour spot? The Washington Redskins play in the suburbs. Ever since Mayor Tony Williams took office in 1999, Evans and other city leaders have been trying to get the football team to return to the District, ideally with a domed stadium located on the site of the old RFK -- and paid for by the team, not taxpayers. Williams talked strategy about bringing in the team throughout his tenure, as did Adrian Fenty. Then-Mayor Vincent Gray also backed bringing the 'Skins to the city, but he aggressively joined the campaign to force the team to change its name. Gray got to the point where he would not even say "Redskins." Mayor Muriel Bowser is aware of the name controversy, but she also sees a billion-dollar business that belongs in the city. She made a strategic decision to send a message to the team by sparingly using the "Redskins" name in her quotes. "We know that the perfect location for the Redskins is where they played for decades very successfully," she told NBC4 last week. "We have the infrastructure sitting on top of a Metro station" at the RFK site. She also made similar comments to WMAL radio last week and again on Monday to NBC4's Mark Segraves. Both Bowser and Evans say any new stadium would coexist with lots of land turned over to local development for long-sought retail, grocery stores, playgrounds and open space for residents who live near RFK. "We have the ability to make it more than a sports stadium," Bowser told us. "The surrounding neighborhoods want more play spaces, more active areas for children and families." Many of those residents are skeptical they can benefit from the team's arrival. Ward 6 D.C. Council member Charles Allen, who represents the area, flatly told NBC4, "I do not support the team coming back to RFK." Allen suggested he might support the team at a different location "with the right plan." But at a minimum, D.C. leaders feel they're back in the game. 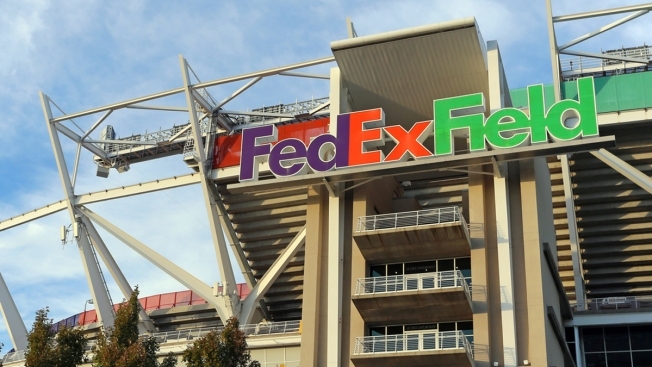 Team sources have indicated that Prince George's County may have trouble keeping the team with the FedEx Field lease expiring in a few years. Virginia Gov. Terry McAuliffe has bragged that the team would be relocating to Loudoun County. Evans scoffs at the transportation problems in Prince George's that would be replicated in Loudoun. "There's no better site than RFK in the metropolitan region," Evans said. "And everybody knows it." ■ MLB "security" barriers. Major League Baseball should leave the playing of games on the field. At Nats Park and elsewhere, MLB is requiring the use of metal detectors. That's even though there is no credible -- or even sorta credible -- evidence that ballparks are any more a terrorist target than are any other site of mass gathering. We were outside the center field gate on Opening Day. The Nats get a pat on the back (not a "pat down") for having tried to usher fans quickly through the new metal detectors. Still, a crowd of several hundred, maybe more than a thousand, fans were queued up just outside the gates. Well, we thought ominously, what a perfect place for a terrorist to set off a bomb. That kind of horrible incident would have impact whether it was inside or outside the gate. So what good are the metal detectors here? The same is true, as we've written, about the thousands of families that line up at Orlando's airport security stations. The crowds are brimming with parents, children and stuffed Mickeys and Minnies. There's no security for this captive crowd, where anyone intending harm can just walk up. These scenes of potential destruction and horror and death are replicated all over our free country. And that's the point. Security bureaucrats are spending trillions of dollars on buzzers and barriers and bomb-sniffing equipment in a Sisyphean frenzy to make Americans "feel" safe. But no matter how many security barriers they roll uphill, it never will be enough. Washington Post writer Alexandra Petri recently derided the MLB initiative, noting that it was also possible "that someone could fire a blow dart at me RIGHT NOW and I should stop typing to duck under the desk." More seriously, she quoted "security theater" critic Bruce Schneier on the ballpark idea. "As a security measure, the new devices are laughable," Schneier writes. "The ballpark metal detectors are much more lax than the ones at an airport checkpoint. They aren't very sensitive -- people with phones and keys in their pockets are sailing through -- and there are no X-ray machines." There are too many places in America where crowds gather in significant numbers: subway stations, shopping malls, theaters, museums, houses of worship, schools and colleges, train track crossings, et cetera, et cetera, et cetera. Security bureaucracy, security theater, security scare tactics -- whatever you call it, it's not the way to live lives in the land of the free and the home of the brave. ■ The real fear. We always feel the need to point out the real fear of all these security folks, no matter where they are. That fear is that something terrible will happen and some member of Congress or some department head will ask the most dreaded of questions: "Why didn't you...?" Whatever the incident, there's always something that could have been done or shouldn't have been done. There is no foolproof defense against any of that second-guessing. None.